If you thought Happy Salmon was fast-paced and packed to the gills with high-fivin`, fin-flappin` foolishness, now you can get Happy Salmon Blue Fish and play with six more players, for a total of 12! 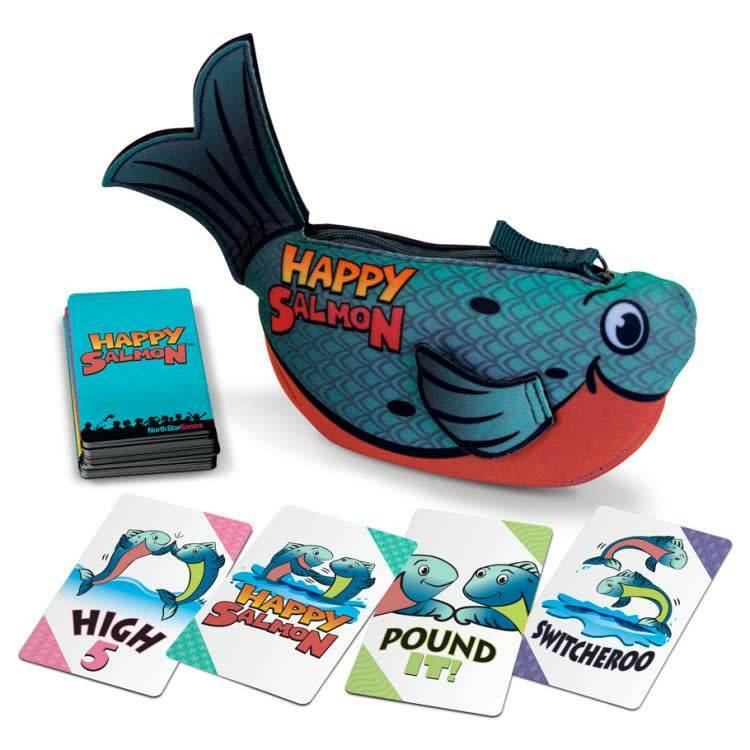 Happy Salmon is the simple, fast-paced card game packed to the gills with high-fivin`, fin-flappin` fun. Actions including the classic `High 5`, the unifying `Pound It`, the frantic `Switcheroo`, and the delightful `Happy Salmon` will leave players doubled over in laughter!